Can you guys see our faces right now? No? Well… we’re glowing. We’re always excited whenever the Sebastian Speaks crew unload a new record on us. After last year’s Vernon Wray, KORT, and Ted Lucas records – Sebastian Speaks is easily one of our favorite labels around town. 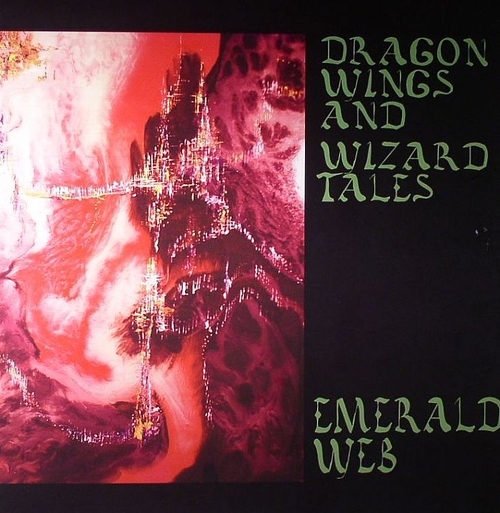 We got word last week that they’ve gone and reissued the Emerald Web’s 1979 debut album – Dragon Wings and Wizard Tales. Emerald Web was a husband & wife duet based out of Florida – Bob Stohl and Kat Epple. They formed in ’78 and performed together through the 80s and even soundtracked a couple television series [They won a few Emmys and even got a Grammy nod in ’86 for their album Catspaw] The record itself is a pretty far out trip into the realm of early analog synthesizers mixing with wind instruments and predicted pretty well what was to come later in the 80s. You can order the record right now directly from the Sebastian Speaks online shop – or you could put in a request for it at your local record shop. The reissue is definitely something you’re going to want to go ahead and snag – so do it!